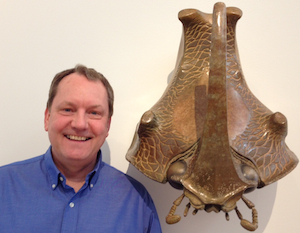 This podcast radio episode features a 5-minute interview with Museum Executive Director Greg Robinson, describing the ongoing spring exhibits at the Bainbridge Island Museum of Art (BIMA). BCB’s Channie Peters (who is also a docent at BIMA) is the interviewer. The current show at BIMA has 7 exhibits on two floors, including some works from BIMA’s permanent collection. Featured artists in this show, with exhibits ending June 1st, include David Eisenhour from Port Hadlock. 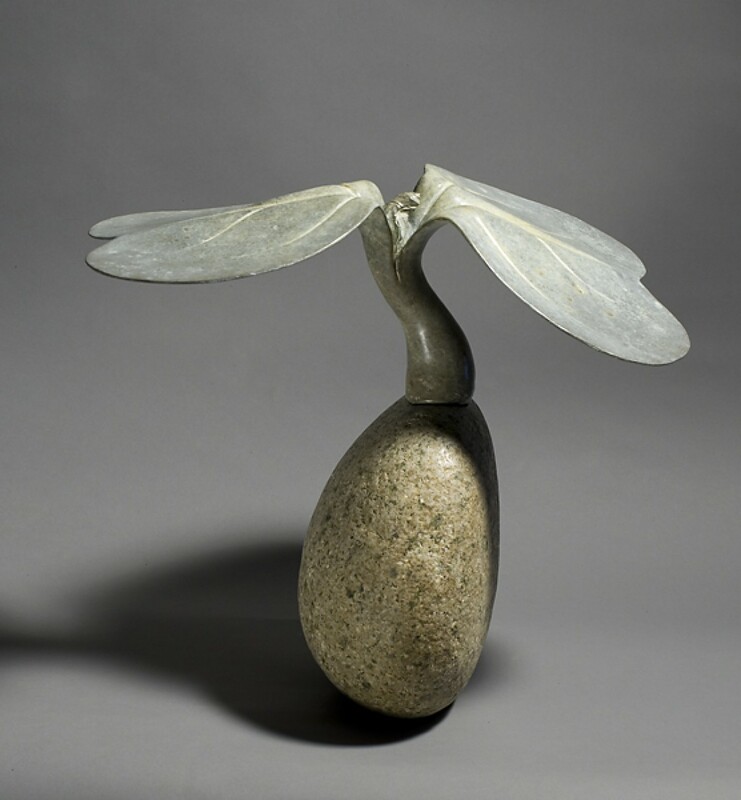 The artist is represented by over 50 individual pieces in bronze, stainless steel, concrete, coal and mixed media (example shown below). Another featured exhibitor is paper artist Tracy Lang, with an exhibit titled Tsunami Papers, motivated by the 2011 Tohoku Earthquake in Japan. Another exhibit includes handformed works in silver and other metals by master metalsmith Heikki Seppa, who was originally from Finland before living his last years on Bainbridge Island. The show also includes a very special collection of artists’ books (You Can Judge a Book By Its Cover), and a unique collection of portraits (Inner Portraits) by twenty artists from the Puget Sound region. The seven exhibits continue to various dates from June 1st to 8th, with the two featured exhibits ending June 1st..
BIMA is located at the corner of Winslow Way and Hwy 305. It is open daily from 10 am to 6 pm, and is free of charge to the public. BIMA’s distinctive staircase frames the gift shop, near the Bistro refreshment area. 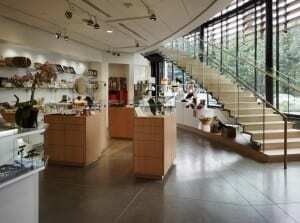 There is a bistro and a museum shop featuring unique art and crafts from the Puget Sound region.